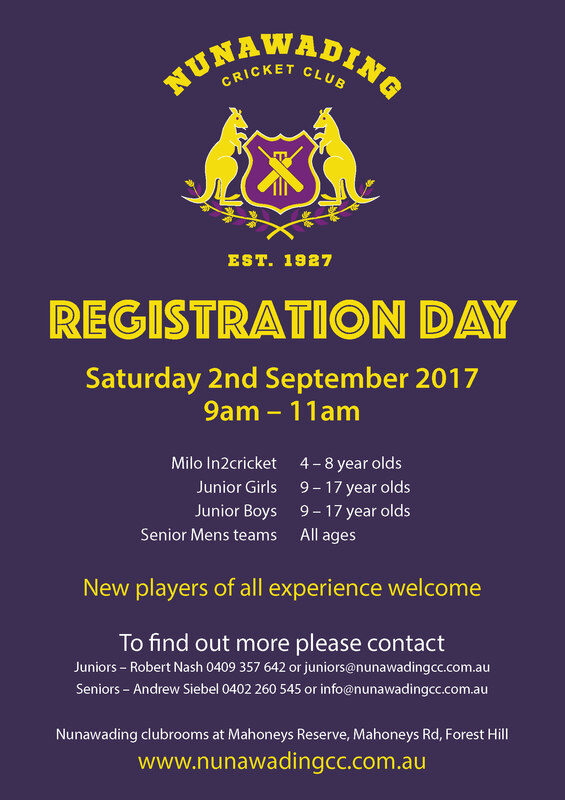 Please find attached the Nunawading Cricket Club Junior Handbook for 2017/2018. It contains all the information you will need (I hope!!!)!!!! This will be our biggest season ever!! We have many enhancements planned, which will not only help your child on and off the field, we will also be building on our strong focus on all things Community. It is imperative that we know our numbers going into the season, so please let us know if your son/daughter will be playing!! If you have any friends or family who want to come down and play at Nunawading, please encourage them to at least come down and try a training session or two!! We still really need more players – regardless of experience. Whilst we have fast become a big junior club, we ideally need a few more players across all age groups!! As an example – and in terms of enhancements for this season – over the last three weeks our new Club Coach Robin Ferdinands has been running the first every Nunawading Cricket Club Junior Academy for our U16 and U18 players. Given the success of Rob’s program, this is something we will build on. We will also be utilising Robin’s overall coaching plan for our juniors this season. I also attach the Apparel Order form, Registration Form and details of our Registration Day. Please let me know if you have any queries (especially if the Handbook does not answer them)!! Preseason Sunday morning training will commence mid/late August. I will let you know more when the weather improves! !